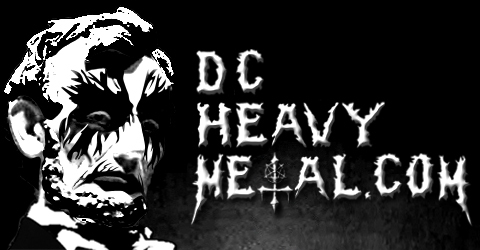 On Thursday the 5th of May 2011 the Red Palace is hosting their second metal concert ever and to celebrate DCHeavyMetal.com is giving away a pair of tickets! The band playing, Holy Grail, is a newer metal band that plays in the traditional style of bands from the 70s and 80s. They put out their first full length album, titled Crisis In Utopia, last October on Prostetic Records. The album has been a hit with fans of power metal and thrash and now they’re coming to Washington DC to support it with a headlining concert at the Red Palace. Along with Holy Grail on the tour is Toronto’s Cauldron, also a traditional metal band and a great support act for this gig. There’s local support from the excellent band To The Teeth and this is their first show inside the district so be sure to get there early to see them. To win the pair of tickets to this awesome concert just tell me in the comments below which of the three bands playing you are most excited to see, Holy Grail, Cauldron or To The Teeth. On Monday 2 May 2011 at 6pm EST the contest will close and I’ll pick a winner from the valid entries below at random to win the tickets. Make sure you use a valid email when you enter (does not have to be in the comment itself) so that I can contact you if you win. Don’t worry I won’t put your email address on any annoying spam lists or anything like that, I hate that crap too. The Red Palace is located in the heart of the burgeoning Atlas Theater district of North East Washington DC on H Street. It was created when the Palace Of Wonders and next door neighbor The Red And The Black knocked down a few walls and merged last year. The upstairs stage area has been expanded and is much improved. You can read my review of the first metal show at the venue here. The address for the Red Palace is 1212 H St NE, Washington DC 20002 (click the address to see it on a map). Tickets to the concert are $8 advance or $10 the day of the show (for those of you who don’t win) and can be purchased online here. It’s ages 18+ with the doors opening at 8pm and the first band at 8:30. There’s only a few days to enter this contest, so don’t wait and help spread the word to any friends you might have that could enter, they could win and give you the extra ticket, right? 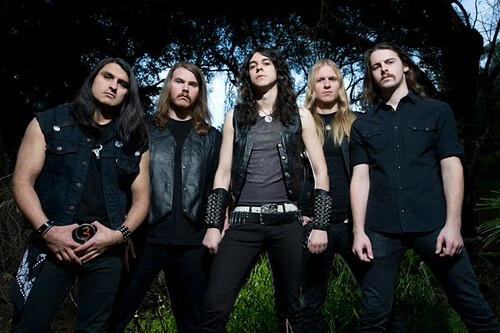 Now, check out this awesome Holy Grail video for their song My Last Attack as you leave a comment to enter to contest. I am most excited to see Holy Grail. Most excited to see Holy Grail! Going to be a great show. Cauldron! Because they are killer live! Congrats Steve, you win the contest! To The Teeth because it’s their first DC show and I haven’t had a chance to see them live yet.